Good morning, friends. How is your week going? Mine ended, or began, depending on how you look at the calendar (are you a week starts on Sunday or Monday person?) at a beautiful place under sad circumstances. 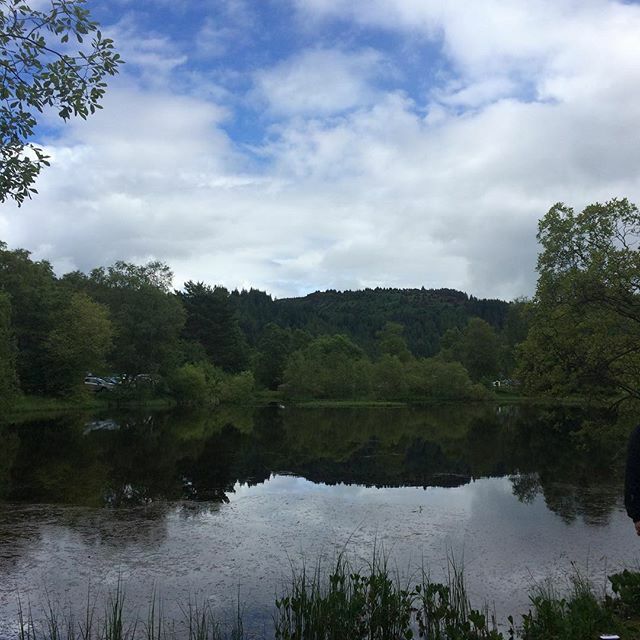 The family went up north to Aberfoyle to scatter my Grandma’s ashes. The rest of the week has been a push to get back into work mode interspersed with friendly catch-ups: one of the highlights of returning from a long break. Hope you’ve had a good one too. Here are some things to click on. It’s Bookish Blether Episode 14 already? We finally broach the subject of Book to Film Adaptations. A bit of a repeat, but I shared my Favourite Books of 2015 So Far – this time in video form. I also published some Lessons from Small is Beautiful over on my business blog. Pixar and the Incredibly Canny Valley. I am so much more excited for this than for Inside/Out. Diversity in UK Publishing Still a Challenge. Come on, guys. Don’t make it so hard for yourself. Jon Ronson interviews Katie Hopkins; tries not to publicly shame her. Honestly, I couldn’t have told you how she ever got famous before reading this. I love this Obsessively Detailed Map of American Literature’s Most Epic Road Trips from Atlas Obscura. I’d probably take Steinbeck’s from Travels with Charley, personally. Jess Zimmerman asks “Where’s My Cut?”: On Unpaid Emotional Labor. ALL OF THE PRAYER HANDS EMOJIS. Ladies’ Man – Melissa McEwan tries to explain her partner’s respect for women; kinda gets tied in knots. On a brighter note! ‘She’s the coach and we listen’: Becky Hammon beats up the NBA Summer League. Eff yeah lady coaches. Lindy West: My wedding was perfect – and I was fat as hell the whole time. One of my main takeaways from my own wedding research came from Lisa Eldridge, who advises you look like yourself for your wedding. She was talking about make-up, but this totally affirms it. A great video from Tales of Mere Existence on what it’s like to live through the California Drought. Another lovely video: First and Final Frames of films, edited by Jacob T. Swinney. How many do you recognise? I’m currently reading Oranges Are Not the Only Fruit by Jeanette Winterson. It’s actually totally hilarious? Maybe it’s my ultra-dry, wry sense of humour, but no-one mentioned it. She’s baa-aack… An Interview With Rachel Dolezal:”It’s not a costume.” Reported with a healthy dose of skepticism. And just for fun, Letter of Recommendation: Summer Fridays. Read anything good this week? Hit reply or tweet me with a link. A book, my feet, and a lazy house-guest. Busy week! How was yours? This week is a bit heavy in the Lena Dunham department. I can’t help it that she has a book out! Incidentally, I’ve read the first chapter so far and… well, we’ll see. If you hate her, don’t worry. It’s all over after this – I promise. Incidentally, last week I added a segment titled ‘Ladybits’. This week is almost entirely comprised of ‘ladybits’ – so, enjoy. Not much to see here! But I did write a bit more about my intentions and reading history in The Essayist Project: An Introduction. 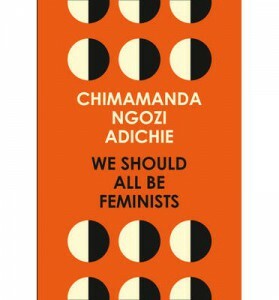 Is This a Golden Age for Women Essayists? Says Cheryl Strayed: “As long as we still have reason to wedge “women” as a qualifier before “essayist,” the age is not exactly golden.” Amen, lady. I mean, writer person. 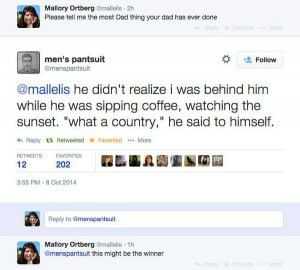 & in related: Non-Fiction Deserves a Nobel. If Bertrand Russell and Winston Churchill once got them, why hasn’t anyone since? Get it sorted, Nobelers. Daria’s Reading List. I didn’t ever watch much Daria, but she’s still a kindred spirit. From the guy who pulled together all 330-some books mentioned in Gilmore Girls, here’s a smattering of 7 Gilmore Girls-related books to read now. It’s nice to have them narrowed down. Plus, I’m currently reading The Amazing Adventures of Kavalier and Clay so I’m basically already participating. The brilliant Veronica aka Ron Lit is bringing academia to BookTube (YouTube for books). I like her latest video so much I’m embedding it. & did you hear that Roxane Gay is starting a new The Toast sister-site called The Butter? I can’t wait. Powerful stuff from Roxane Gay on The Price of Black Ambition. Don’t Love or Hate Lena Dunham. Create More of Her. The pressure on young female celebrities is unsustainable. The name is tangential to the point: WE NEED MORE WOMEN IN MEDIA SO THAT ONE WOMAN DOESN’T REPRESENT THE LOT OF US. Okay? Okay. Let’s work on that. Props to the writer, Rebecca Traister, and New Republic – you’ll be seeing more of them here soon. In related: Sally Ride & the Burden of Being “First”. Not like the first to comment on an article, but be the first lady to do stuff. In case you weren’t sure. Roxane Gay Talks to Lena Dunham About Her New Book, Feminism, and the Benefits of Being Criticized Online. Cool. Tech’s gender problem abounds. Fortunately, some companies like Etsy are leading the way to parity. 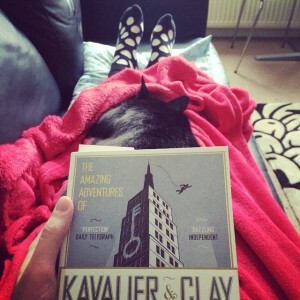 Okay so, yes, I’m still reading The Amazing Adventures of Kavalier and Clay by Michael Chabon. As mentioned at the top, I also started Lena Dunham’s book, Not That Kind of Girl. What were your favourite reads of the week?